I am officially NOT a beet person – but I am trying to become one. When I think of beets, I always think of the smell of dirt, but not in a good way. 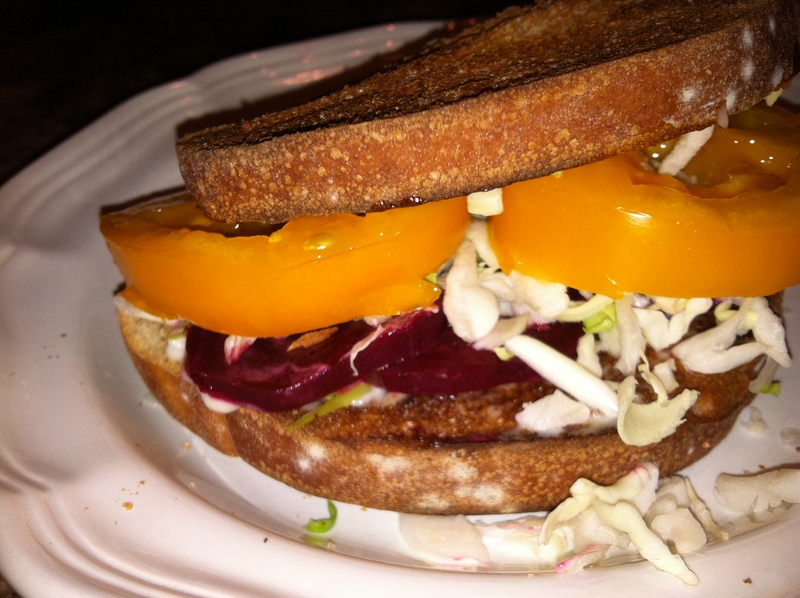 So I did a little looking around to see if there were some different ways to eat beets and I thought a beet sandwich was my best bet. I figured out that I LOVED it this way. 1. 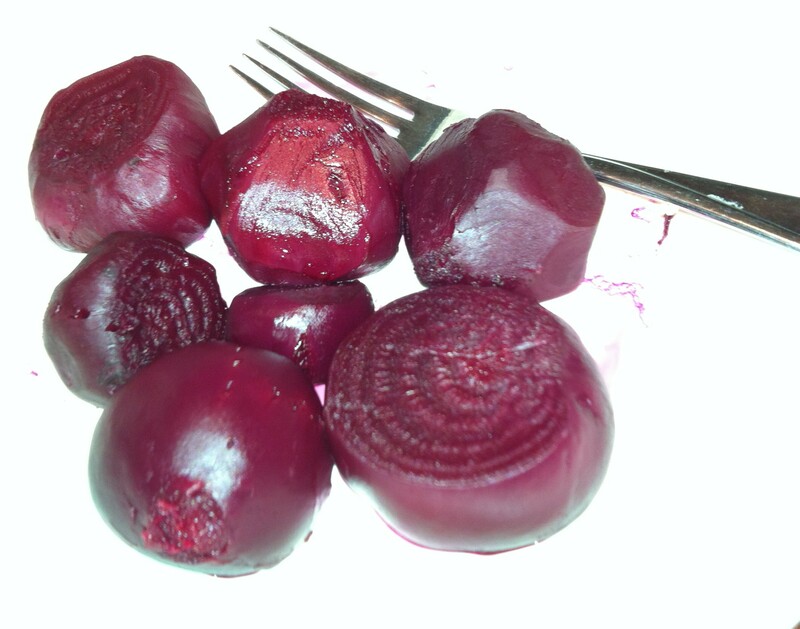 Steam beets. Remove skin. Slice into thin slices. 2. 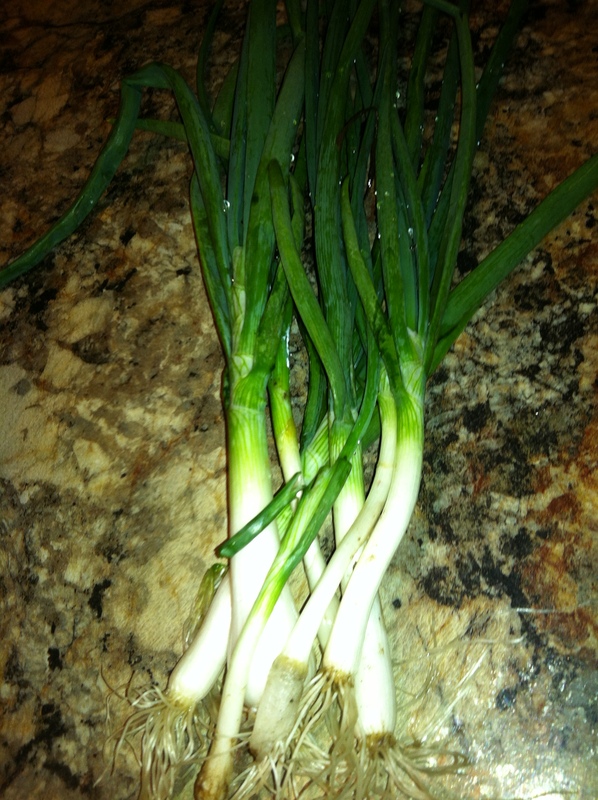 Thinly slice green onions. I cut one in half length wise and then cut into 2 inch sections. 4. 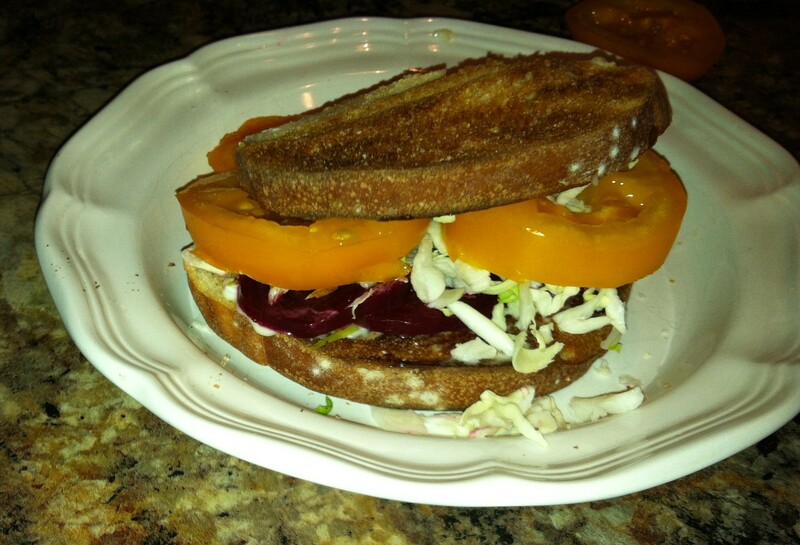 To assemble the sandwich spread some mayo on the toast, lay down a layer of green onions, then a layer of beets, then cabbage, then top with a tomatoes.